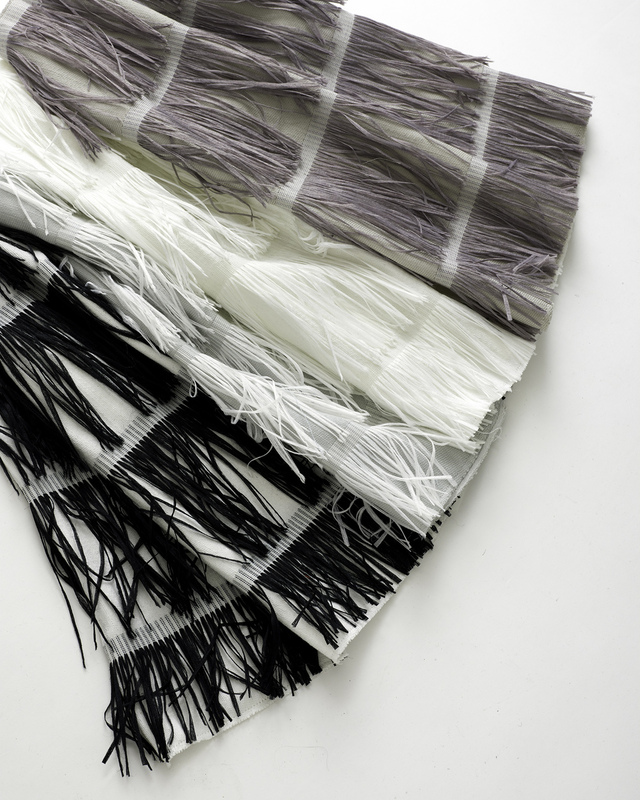 Maria Cornejo's Big Fringe draperies take direct inspiration from pieces in her feathery, silk-woven 2012 pre-fall collection, and are part of a one of five additional textile and drape designed for Knoll Luxe. Designed by Aelfie Oudghiri, founder and proprieter of Brooklyn-based brand Aelfie, the pattern of the Olivia Grey rug takes formal inspiration from the silhouette of a traditional candlestick holder. Newly introduced to the U.S., Marimekko's Meriheina linen fabric is part of graphic designer Kustaa Saksi's first collection for the brand. Shown here is "neutral", the abstracted sea-grass pattern is also available in orange. 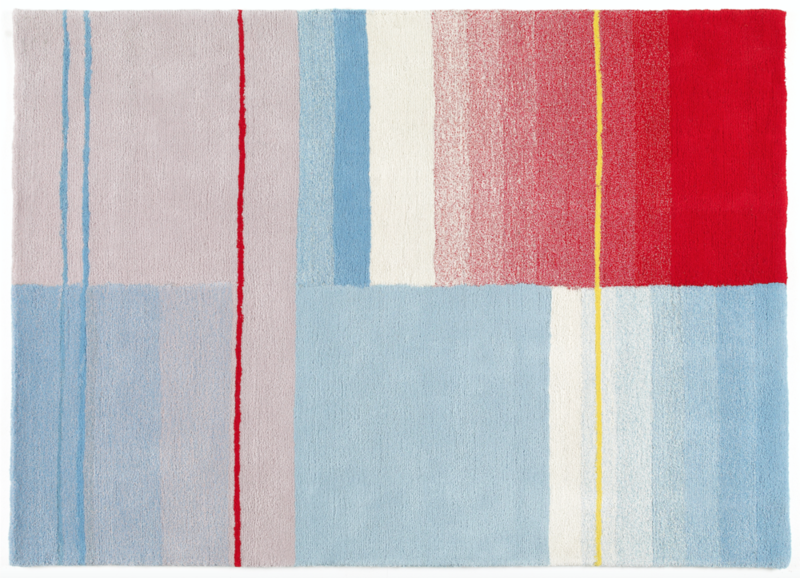 Danskina's Bold rugs are among the first collections produced by Hella Jongerius since she signed on as the brand's design director last year. Contrasting colors and handwoven fibers give it a warm, organized texture. Recently made available to the U.S. market, Cogolin's optical Anamorphoses rug is hand-woven from raffia and cotton on 19th-century Jacquard looms. Shown here in rouge, it can be made to order in custom colors. The six-sided Hexa, part of the Kilim collection of rugs, was designed by Enblanc for Gan. It's made of 100-percent wool, with a colorful geometric pattern that can be reversed for a dual usage. Studio Job's Industry textile for Maharam depicts an intricate pattern marked by mechanical iconography go the machine age. 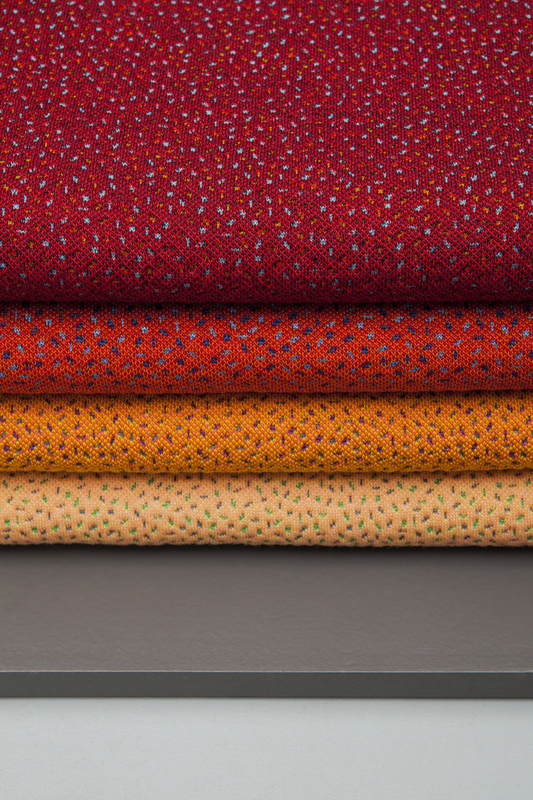 The densely woven Jacquard is made of a polyester-cotton blend.